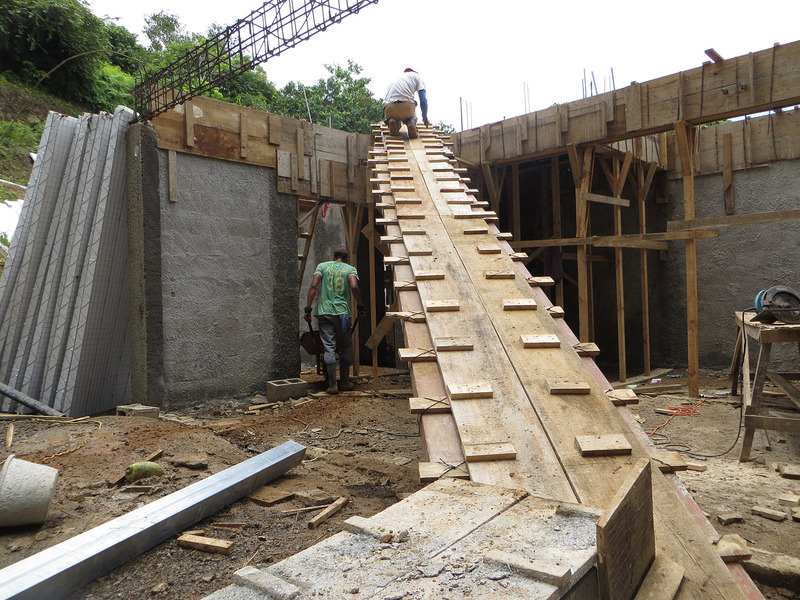 Onward and upward…work has started on the structure of the second floor. 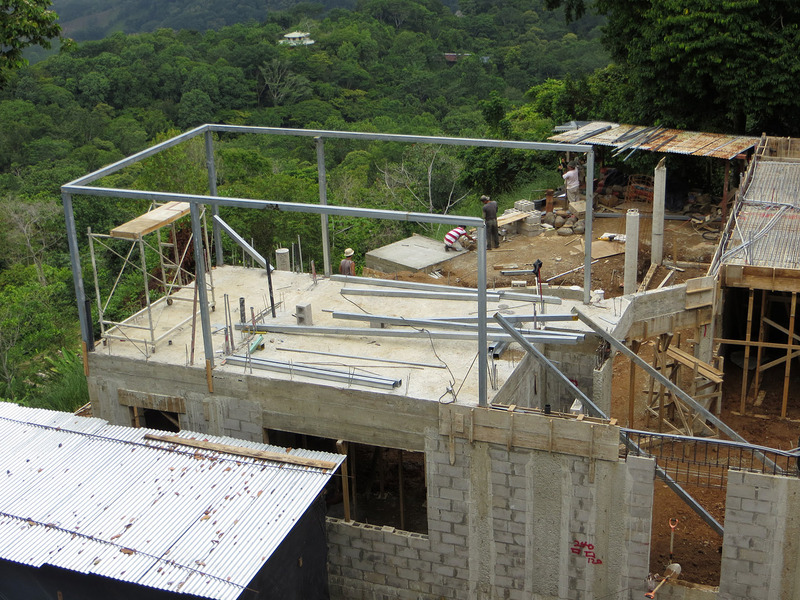 Rather than using concrete block as for the first floor, the second floor walls will be constructed using a steel frame and Styrofoam panels, which are subsequently sprayed with a concrete layer. The final result will look the same as the concrete block, but is quite a bit lighter weight and does provide some insulating qualities. 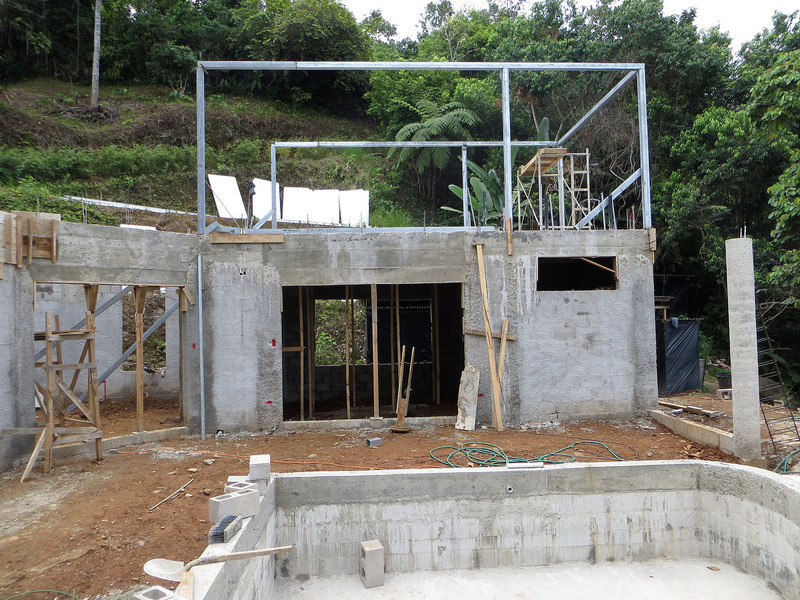 The photographs below shows the steel framing being erected on the left side of the house. 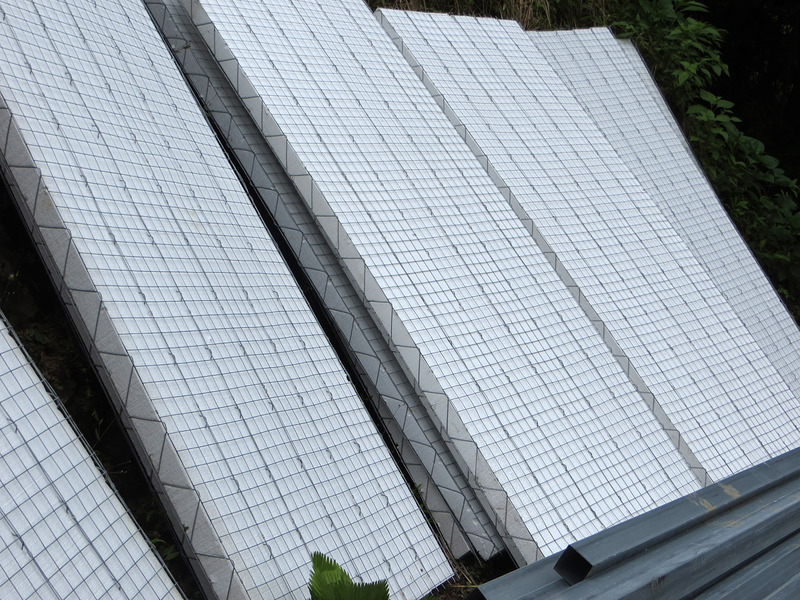 Below is a photograph of the Styrofoam panels known as Panacor. As you can imagine, building with these panels is much quicker than with traditional concrete block. Installing electrical and plumbing lines inside these walls is simply a matter of cutting a channel in the foam and fishing the conduit or tubing behind the wire mesh before the concrete is sprayed on. The pool equipment room walls were built with concrete block and a concrete roof was poured. I think the pool pump and filter could withstand a nuclear holocaust in there. 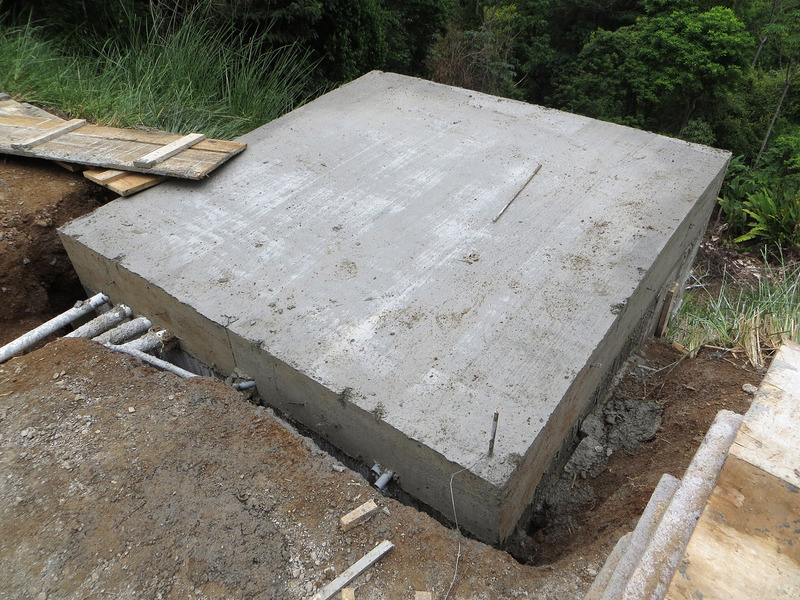 Over on the right side of the house, the crown beam and floor have been formed and is just about ready for concrete. A ramp was built for the guys to bring concrete up in wheel barrows. 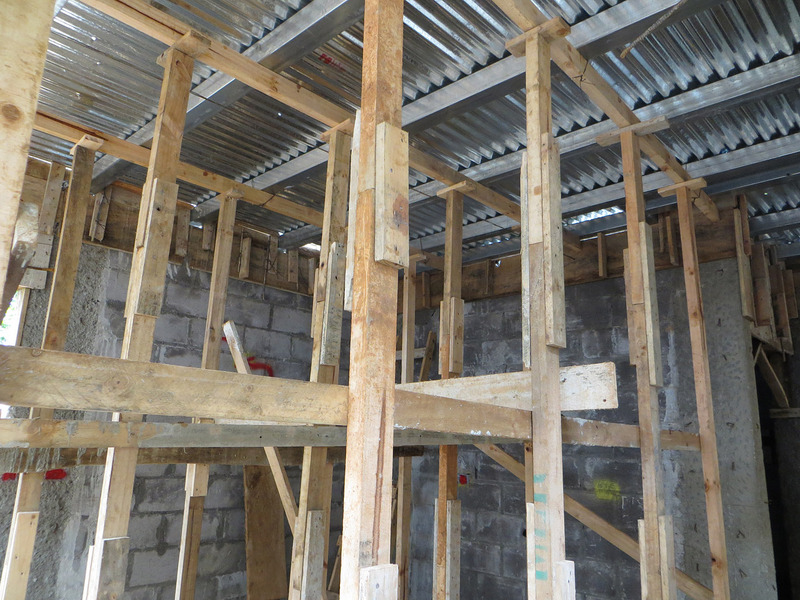 This is the temporary support framing under the second floor above the kitchen area. This coming week should be interesting as the second floor walls start to take shape with the Panelcor panels being installed. 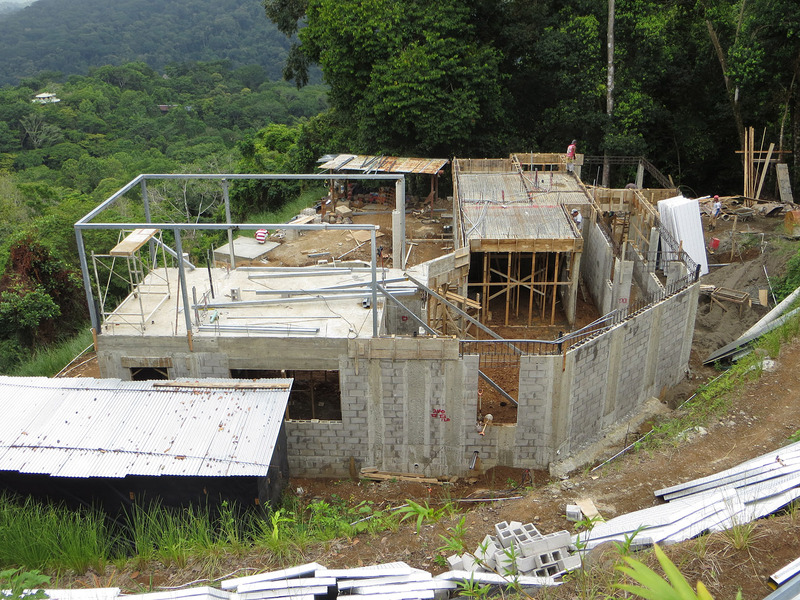 This entry was posted in Building our House and tagged building a house, Costa Rica, house building project, house construction, Panacor. Bookmark the permalink.